Trailblazer Roger Morrison was very disappointed with the way he saw patients being treated in his work as an emergency room physician – and with the sloppiness of American medicine in general. He became inspired, and left his job as an emergency room physician, and studied Greek so that he could study with and later apprentice to the world expert on homeopathy in Greece. 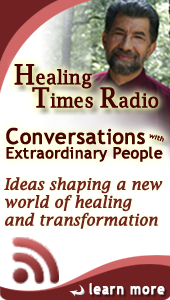 You will hear about the revelation that convinced Dr. Morrison of the power of homeopathy and what he learned about Dr. Hahnemann, creator of homeopathy. You will learn about Hahnemann’s struggle against the prevalent allopathic medical system, which, at that time, used as legitimate medical treatments such horrors as the use of leaches and bloodletting. You will hear just how George Washington, the father of our country, was bled to death by doctors using the then-accepted medical techniques. Our guide in learning about this fascinating field from one of its prime proponents. With professor Morrison, we will explore the theory of homeopathy and how it fits into a holistic framework of medicine. Homeopathy and allopathic medicine coexist in some countries, but in the United States homeopaths have been seen as unscientific quacks by the competing allopathic system. The American Medical Association, as Dr. Morrison tells us, was actually formed in order to fight against and eliminate homeopathy. In Wikipedia, it’s called a pseudoscience. Yet, as you will hear, straight from the horse’s mouth, what he saw and experienced in the practice of these techniques. And what he saw was vivid and clear. 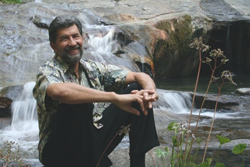 Let yourself listen to the testimony of this man, who has honest experiences to share with you. Then think about what you can do with the discovery you make. Dr. Morrison attended medical school in his home state of Tennessee, graduating from the University of Tennessee in 1978. In his early career he worked as an emergency room physician. In 1978 while still in medical training, Dr. Morrison attended his first seminar on homeopathy in Athens, Greece. Struck by the amazing results he observed in Athens, he determined to return to study at the Athenian Center for Homeopathic Medicine. He spent four years learning to speak Greek then returned to Athens and completed a two-year fellowship in Homeopathic medicine, eventually earning the prestigious diploma of the Athenian Center in 1984. Upon completion of his fellowship in Greece, Dr. Morrison moved to California to assist in establishing the Hahnemann Medical Clinic and the Hahnemann College of Homeopathy. He has been one of the foremost educators and leaders of homeopathy ever since, lecturing extensively in the USA and abroad. Having published over 20 articles in most of the leading homeopathic journals in the world, Dr. Morrison began the task of writing textbooks for homeopathic practitioners. 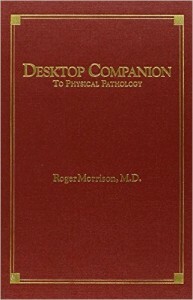 His first book, Desktop Guide was completed in 1993 followed by Desktop Companion in 1999. 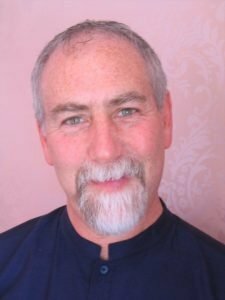 His most recent work, Carbon: Hydrocarbon and Organic Chemicals in Homeopathy was completed in 2006. Learn more about Dr. Morrison and the Hahnemann Clinic at herrickmorrison.com . To order any of his titles, contact Hahnemann Clinic Publishing. Phone/Fax: (530)477-7397 Email: [email protected] Address: 13974 Glenn Pines Rd. Grass Valley, CA 95945 . Dr. Morrison states ‘The purpose of this book is threefold: It is meant first as an aid to be used at the time of the interview to cue the practitioner toward likely remedies for a particular condition. The second is as a study guide, bringing the main points of the remedies into focus. The third is to give advice about treatment based on the experience of myself and my colleagues at our center. 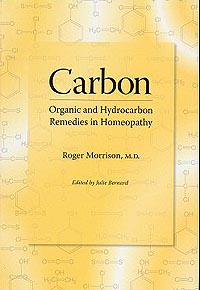 This book explores the carbon-based remedies used in homeopathy. The first section describes the underlying mental, general and physical characteristics common to the entire group. The text then details the known material medical of over 140 carbon remedies currently in homeopathic use. Finally an extensive appendix aides in the case-analysis and differentiation of this complex group of remedies.